What Pokemon Shows are available on Netflix? Netflix has Pokemon shows and movies available. Pokemon XY has hit the scene this month with new episodes available. Pokemon has been a favorite for decades and doesn’t show signs of slowing down anytime soon. The Pokemon Series has close to 20 films over the the last decade, the series includes television shows as well as movies. The anime shows follows Ash Ketchum and his group of friends through fictitious lands of Pokemon along with their Pokemon characters. Pokemon is short for the Japanese title Pocket Monsters which is the title of the first series and also know as Gotta Catchem All, so as not to be confused with future series. Indigo League- Join a 10 year-old, Ash as her strives to become a Pokemon Master. Ash meets friends Misty and Brock who join Ash on his quest to become a Pokemon Master. He also meets Team Rocket Jessie, James and Meoweth who give the friends a different set of challenges. Series One is available on Netflix with 52 episodes. Pokemon XY- NEW EPISODES are available now!! 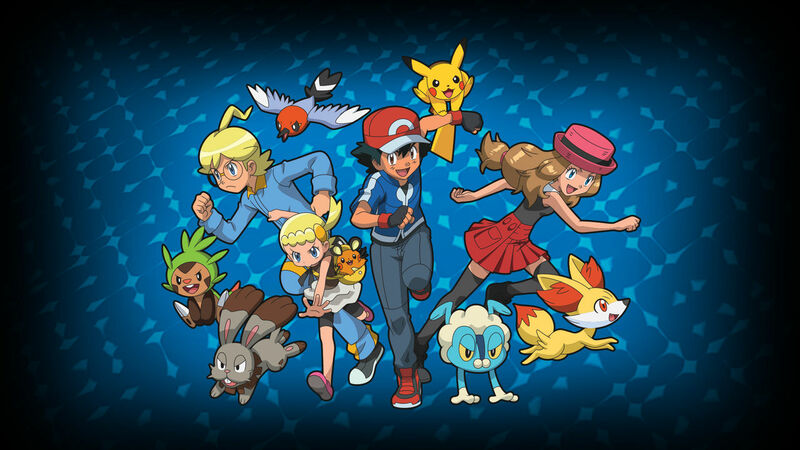 Fresh adventures draw Ash and Pikachu to Kalos, where they make friends, encounter new Pokémon and uncover mysteries. Seasons 1 and 2 are available with 48 episodes each. Pokemon The Movie Hoopa and the Clash of Ages- Ash and his friends meet the Mythical Hoopa, who can summon people and things with his magic rings and whose powers must be stopped. After a scary incdnet occurs and now that a threat that has been bottled up for years is now released. Will a dangerous secret erpupt into a clash of titans. Legendary Pokemon appear Hoopa’s true powers will be revealed. Running time 1h 18m. Pokemon The Movie: Diancie and the Cocoon of Destination- Ash is called upon by a princess to find the Heart Diamond. Ash and his friends need to help her to save her kingdom from its enemies and restore peace. Running time 1h 16m. “Pokemon is one of my favorite all time show, video game and card game” says Jared, age 28. Fans of all ages can find a variety of shows to view on Netflix. New Episodes of Pokemon XY are available now on Netflix.